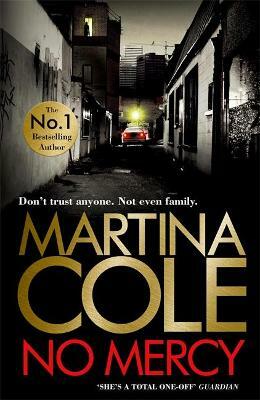 Martina Cole is the acknowledged queen of crime drama with more than twenty novels to her name, of which over a dozen have been No.1 bestsellers. Several of Martina's novels have been adapted for the screen, including The Take and The Runaway which were shown on Sky 1 to remarkable reviews. In addition, Two Women and The Graft have been adapted for the stage; both were highly acclaimed when performed at the Theatre Royal Stratford East, which also staged Dangerous Lady in 2012, celebrating twenty years since Martina's debut novel was published. Martina Cole is a phenomenon. She continues to smash sales records with each of her books, which have sold thirteen million copies. In 2011 Martina surpassed the 50 million sales mark since records began and was the first British female novelist for adult audiences to achieve this - and she has spent more weeks in the No. 1 slot on the original fiction bestseller list than any other adult novelist. Her hard-hitting, uncompromising and haunting writing is in a genre all its own - no one writes like Martina.